COMO Point Yamu is located on the eastern side of Phuket on the tip of Cape Yamu. The distinctive limestone outcroppings of Phang Nga Bay are within the resort’s views. The bay includes hundreds of islands, most of them forested, uninhabited and ringed by coral reefs making for excellent cruising, diving and exploration days within these UNESCO protected, ecologically significant waters. If your clients are discerning and the aesthetics of their resorts matter, then Como doesn’t disappoint. Paola Navone, a world renowned Italian designer, collaborated with the Como Hotel and resort group for a unique and stunning interpretation this resort. Traditional and modern design thinking are fused effortlessly making the experience of walking through the resort like an immersion in art and beauty. Her fascination with unusual shapes, bold colour, and a mix of old and new are effortlessly combined and the entrance is nothing short of a “wow” factor. The Como has 79 rooms and suites, and 27 private villas, all with spectacular sea view. 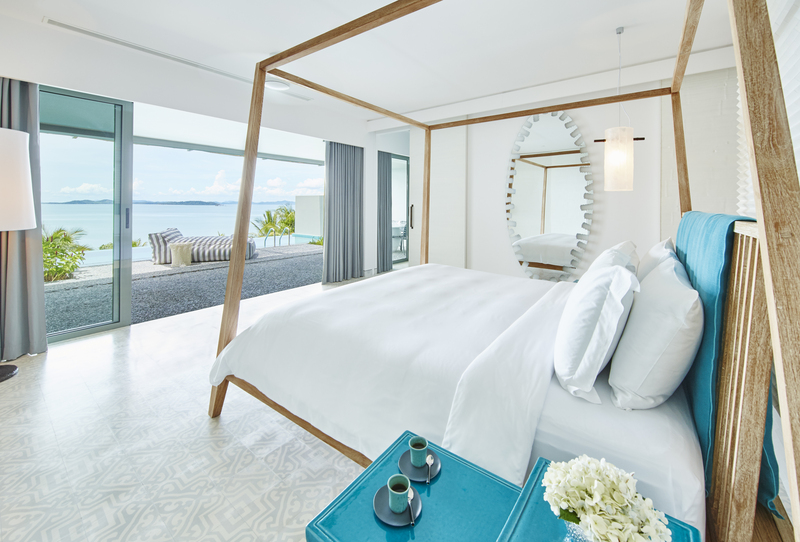 We enjoyed a bay suite, with a spacious 100sq metre light-filled room which included an indoor dining table, a second bathroom, a separate living room and a bedroom with balcony overlooking both Phang Nga and Yamu Bay. It was perfect to work in and relax in, with all amenities at our fingertips. The old adage “Service is what you do when no one is looking” perfectly describes the Como hospitality. Understated and not overdone with all the details attended to. 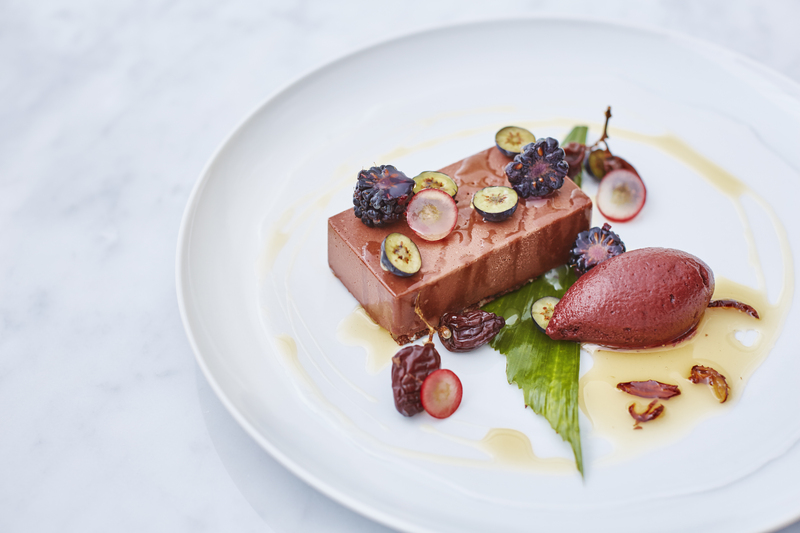 We ate nowhere else and the food was exceptional, fresh, light, and bursting with flavours. There are two restaurants at the resort and the variety kept us sufficiently in culinary heaven. La Sirena is rustic Italian, with a southern influence where locally caught seafood was on offer daily as well as wood fired pizza. 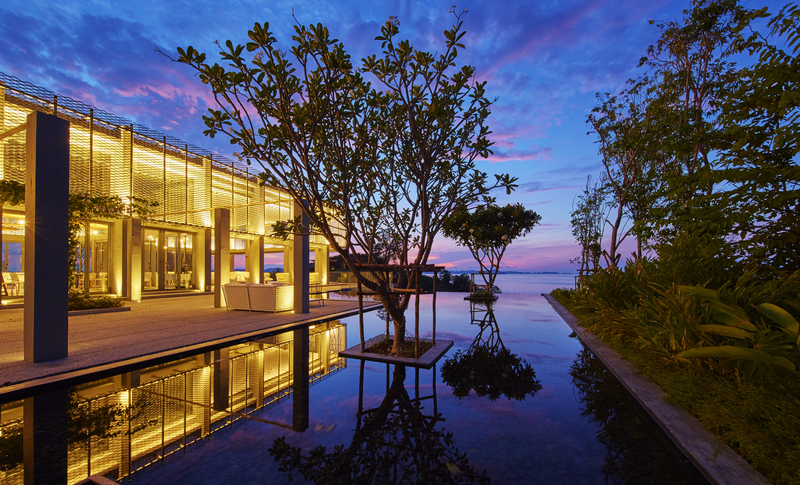 The views of Phang Nga Bay and Navone’s striking design make this a foodie experience that went beyond expectations. The Thai option, Nahmyaa serves lunch and dinner inspired by spicy southern Thai street food. We feasted on fresh whole fish (grilled, steamed and fried), and locally sourced fruit and vegetables. We are spoilt in Australia for seafood, so our standards are high, and Como exceeds them. The facilities highlight is the private beach Como, available to all guests daily, a short bus and speed boat ride away. There we were greeted with fresh towels, a spectacular white sand beach and lots of shade. The restaurant also served lovely light fresh meals. As the private island is protected, it was a highlight for us and we went a few times. 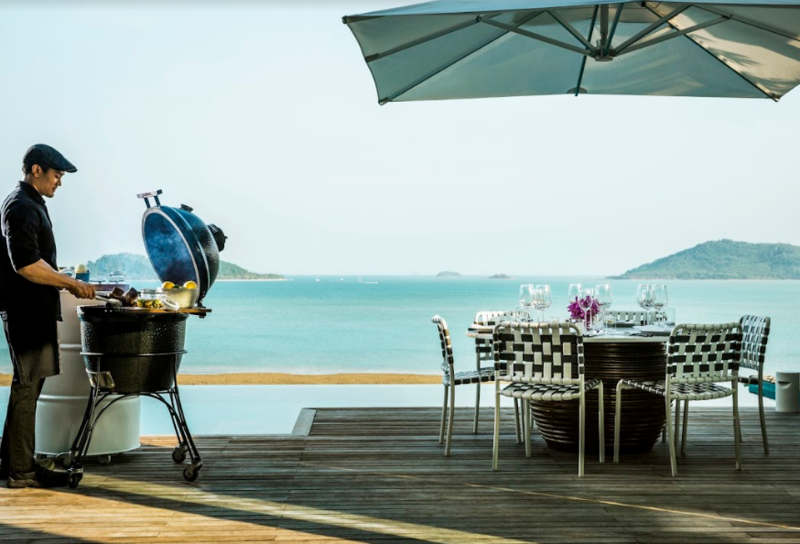 COMO Beach Club was opened so that guests could enjoy beach-life away from mainland Phuket. 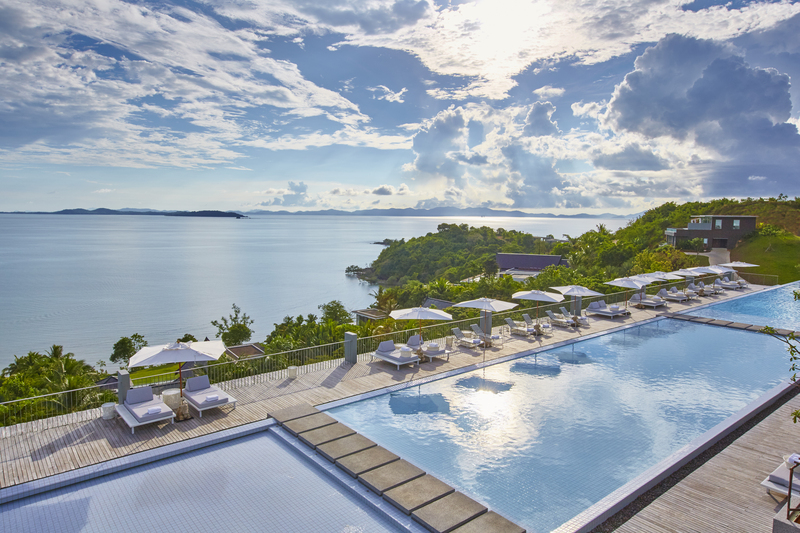 There is also a salt-water swimming pool, spa treatments available set in the tropical foliage and complimentary watersports including canoeing and paddle boarding. 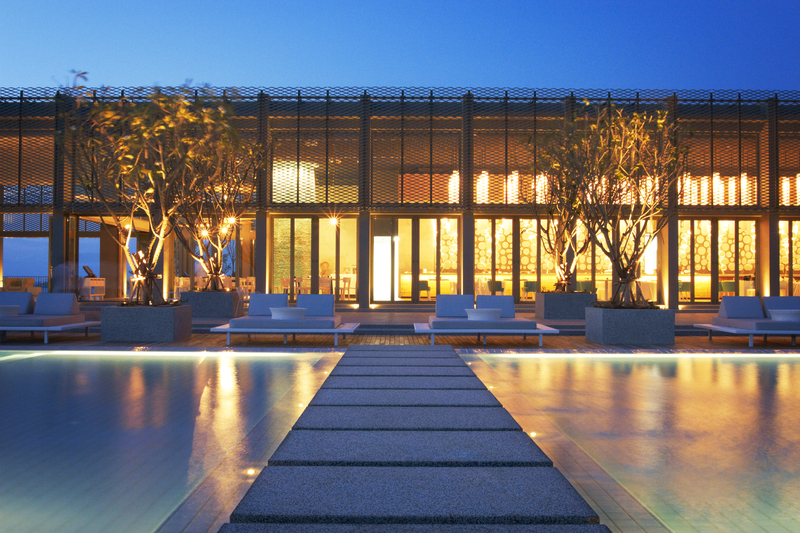 Como Shambhala retreat feels like a bespoke luxury experience. It is family friendly but doesn’t not feel like children are on top of you if you a travelling without them, as we were. The Spa treatments were wonderful and the total experience was a relaxing and special one. Paula Navone’s aesthetic and unique style is perfect for clients who are lovers of sophisticated design. Phukets International Airport is the island’s only international airport. It takes about 25 minutes by car from Phuket to COMO Point Yamu. Read at your own peril: This review may make the prospect of continuing your day without immediately booking flights to Fiji unbearable.